Caramels are a homey sort of snack that makes one think of a simpler time. One that we never actually lived in but that we all like to romanticize about, like looking at a Currier & Ives painting. There's something about the rich, buttery texture and pure sweetness of a caramel that makes you pause to savor the moment. Every Christmas, I help the Minx make dozens of caramels of various flavors that we give away as gifts to our family and friends. They are always a big hit and makes all the trouble of boiling the caramel, cooling the trays, cutting up the sugary slabs into bite-sized morsels, and wrapping them in wax paper well worth it. As for the rest of the year, going through all that difficulty doesn't seem quite as worthwhile. Thankfully, Annie B's sells a line of tasty caramels that can be had with just a few clicks of the keyboard. Annie B’s is a small family-owned caramel and popcorn company based in Kellogg, Minnesota. They take pride in using natural ingredients, free of gluten and high fructose corn syrup. Each individually wrapped caramel is made using local products including brown sugar, water, corn starch, butter, corn syrup, sweetened condensed milk, and inverted sugar. Annie B’s caramel is slow cooked in copper pots using a small-batch method. Each piece is hand crafted with the exception of cutting and wrapping of the caramels. There's over a dozen flavors from your traditional caramel to exotic concoctions like amaretto, huckleberry, black licorice, and coconut. The pieces are quite large, so one caramel can satisfy a quick sugar pang, and they are creamy and soft. 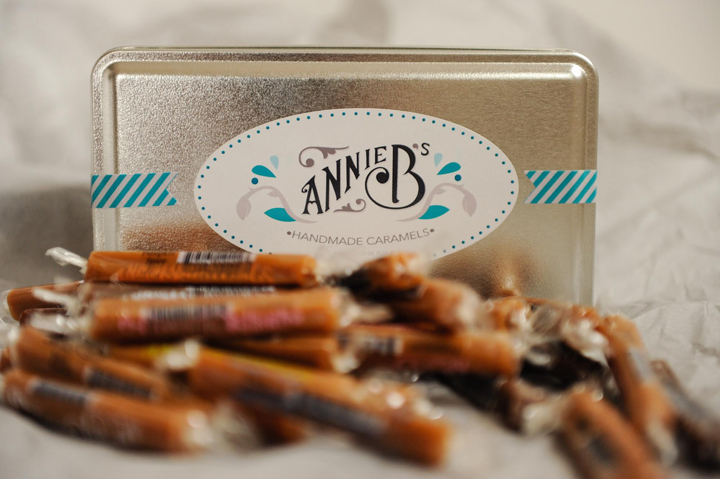 As I mentioned, Annie B's caramels can be purchased from their web site, but they are sold at hundreds of locations throughout the US. Take a gander at the retailer locator on their web site to find a location near you.